Throughout all of the cabinet and staff reshuffling I have often thought of Tunisia – in particular its post-independence presidents Habib Bourguiba and Zine al-Abidine Ben Ali. One might think that comparing the United States to Tunisia is like comparing an apple to a steak – or even an apple to a stop sign. It is hard to think of two countries with more dissimilar political histories and systems. But constant cabinet and staff turnover and (re-)cycling characterized Bourguiba and his successor Ben Ali’s governments, and it had and continues to have profound implications for the North African country. For Bourguiba, the leader of the Tunisian independence movement and the country’s first president from 1957 until 1987, cabinet shuffling was a strategic mode of governance. He used this tactic especially in his latter years in office – to enhance his personalized style, throw the opposition off balance, facilitate corruption in the inner circles of government, and keep domestic (and international) observers guessing about his next steps. From many accounts, Bourguiba was flamboyant, temperamental and charismatic. Bourguiba’s personalistic mode of governance was a way of cementing his “presidential monarchy” vis-à-vis a weak national assembly. Tunisia never fully developed the deeply malevolent Mukhabarat (Arabic for intelligence/security services) that was evident in Assad’s Syria, Saddam’s Iraq, or elsewhere in the Middle East and North Africa. And the lack of a steroidal military government à la Egypt has facilitated Tunisia’s relative ability to establish a constitutional and democratic process in the aftermath of the 2011 uprisings. With that noted, Tunisia is no slouch when it comes to a robust Interior Ministry. Both Bouguiba and Ben Ali were profoundly effective at the suppression of opposition from the socialist left and the Islamist right — and the maintenance of robust systems of patrimonial authoritarianism. 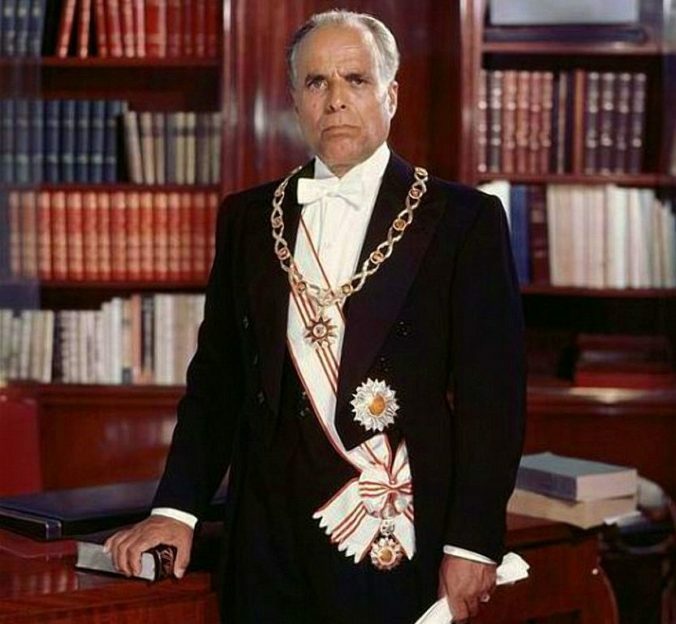 Those who failed to follow [Bourguiba’s] prescriptions were simply removed from office, perhaps to be reintegrated into the higher echelons as time passed and circumstances altered. At the top level, players were rarely left in one place long enough to build up a personally loyal clientele… In a political game of musical chairs, cabinet members who managed to develop independent followings were soon transferred to new posts, and new clienteles. Alternatively a budding rival’s own lieutenants were removed from positions of power or politically discredited. The party’s political bureau was not as easily controlled as the cabinet, but by frequently shuffling the cabinet, Bourguiba also weakened the political bureau. Bureau members who lost important government portfolios also lost their clients, and no one was allowed to forget that power bases were constructed at Bourguiba’s pleasure and discretion…. One might wonder if there’s a “deliberate improvisation” to this mode. Trump appears to act randomly, depending on the last person (or Fox and Friends show) he may have seen and heard. The degree to which this is “strategic” may be questionable. It’s hardly obvious that Trump has a long-term vision for respective cabinet and staff positions. (Can one really fly by the seat of one’s pants and be calculated at the same time?) Nevertheless, the overall effect on the executive branch and policy outcomes is significant. [After Ben Ali assumed office in 1987] cabinet shuffles continued. Ben Ali consulted regularly with his ministers, who were indeed expected to master their portfolios, but as time went by he appeared to rely more and more heavily on an informal coterie of advisers and involved family members in the affairs of state. Executive decisions are generally attributed to Ben Ali; the name of his prime minister is rarely heard. Ben Ali and his in-laws, the Trabelsi family, took the generalized (and not inconsiderable) corruption under Bourguiba to a whole new level. So in that sense, the Trumps and the Kushners may represent more of an amalgamation of Bourguiba’s governing style with Ben Ali’s kleptocracy stirred in. The Ben Alis and Trabelsis also conducted much of their corruption internationally — i.e., across the Mediterranean with Italian, French, and Swiss interests. The legislature… might theoretically have limited [Bourguiba and Ben Ali’s] ­­­­presidential powers, but a series of formal and informal decisions…. ensured that the body would play a limited role…. The right to a legislature that could limit the erstwhile untrammeled powers of [Tunisia’s traditional monarch] had been one of the principle elements in the nationalist program, and the story of how that goal came to be abandoned is integrally related to the rooting of patrimonial politics in independent Tunisia. Of course, full-scale presidential patrimonialism on the Tunisian scale is hardly in place in the United States. The US constitutional tradition is much stronger than Tunisia’s; a US president cannot suspend term limits in the way that Bourguiba and Ben Ali routinely did. And Ben Ali’s murky foreign business ventures were and remain more distorting in a smaller economy than corruption in an advanced-industrialized country. (In the aftermath of the Ben Ali and Trabelsi family venality, it has been very hard to quickly clean up the system.) These differences notwithstanding, Tunisia provides an important comparative case for understanding how the rapid reshuffling of cabinets and advisers can be a useful strategy in cultivating a patrimonial presidency. Gregory White is Professor of Government at Smith College, Northampton, MA, USA. He is the co-editor of the Journal of North African Studies. A recipient of Fulbright grants to Tunisia and Morocco, he is the author of On the Outside of Europe Looking In: A Comparative Political Economy of Tunisia and Morocco (SUNY Press, 2001) and co-editor with Yahia Zoubir of North African Politics: Change and Continuity (Routledge, 2016).